Tan de Soleil offers some of the most advanced UV, Spray Tanning & Red Light Therapy equipment in the area. We provide the finest indoor tanning lotions and friendly professional staff, all in our luxurious tanning facility. Our goal is to provide a refreshingly positive tanning experience while helping you build and maintain a beautiful golden tan. Our guests enjoy an atmosphere of relaxation and cleanliness in our upscale tanning salon, while being cared for by our trained and knowledgeable staff. 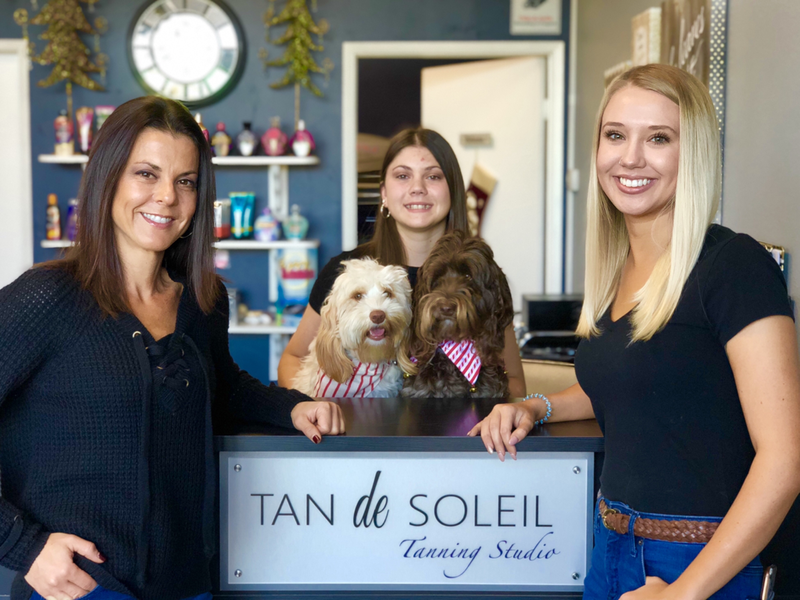 Please call or e-mail us with any questions you have regarding TAN de SOLEIL, our services, or any aspect of our tanning salon. My name is Angie Rangoussis and I'm the proud owner of Tan de Soleil. Tan de Soleil was established in 1997, and I took over the business in April of 2004. I had gone to school and received my AA in business and knew I wanted to own my own business someday. Other than my daughter and family, TAN de SOLEIL is my life. I have dedicated my heart and soul to TAN de SOLEIL, and that is why I have such a successful business today.